Easy Sour Cream Coffee Cake with a layer of gooey cinnamon filling and streusel topping. It’s easy and just right for brunch or weekend house guests! This Sour Cream Coffee Cake can feed several people and has just enough cinnamon to make it spicy and warm for the heart. 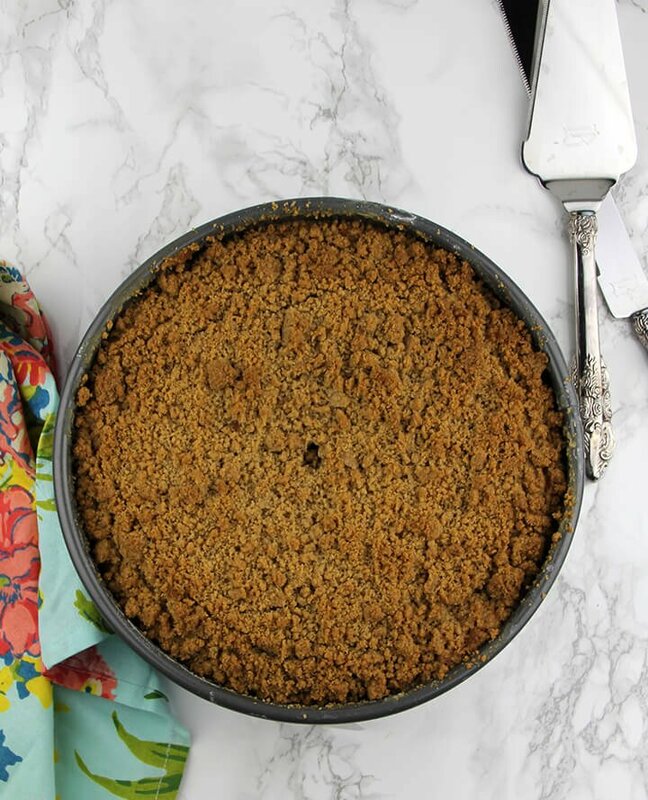 You can prepare the batter for the coffee cake the day before you need it and leave it overnight in the fridge, then pull it out the next morning and bake. I love breakfast recipes that I can make a day ahead like my Classic Breakfast Casserole or my Overnight French Toast Casserole Recipe. Makes the morning so much easier! Or, you can bake the whole thing a day or two before you want to serve it. Stress-free, trouble-free and delicious—my favorite things in a recipe! 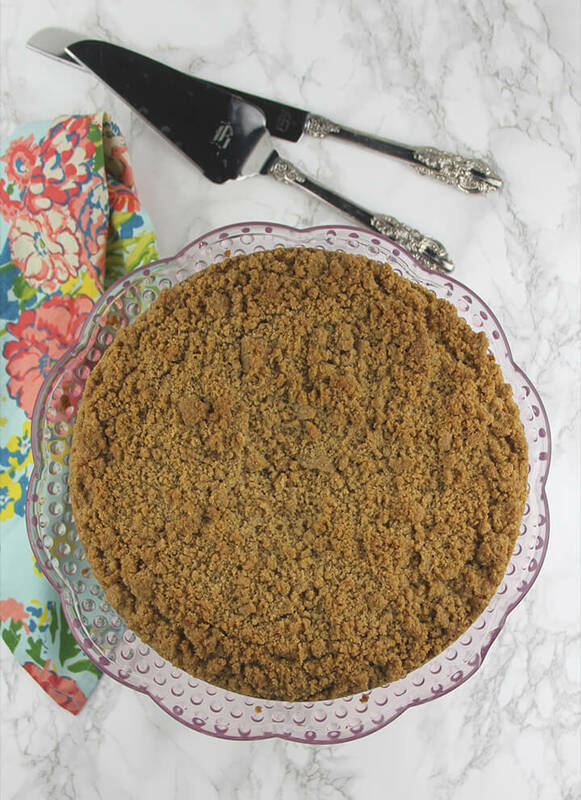 This coffee cake recipe came from my friend Jenni and I’ve tweaked and played with it over the years. The original recipe called for nuts in the filling and the streusel topping, but I rarely bake with nuts so I’ve left those out. For a different take on coffee cake, check out this Strawberry Lemon Coffee Cake from Michelle at A Latte Food. 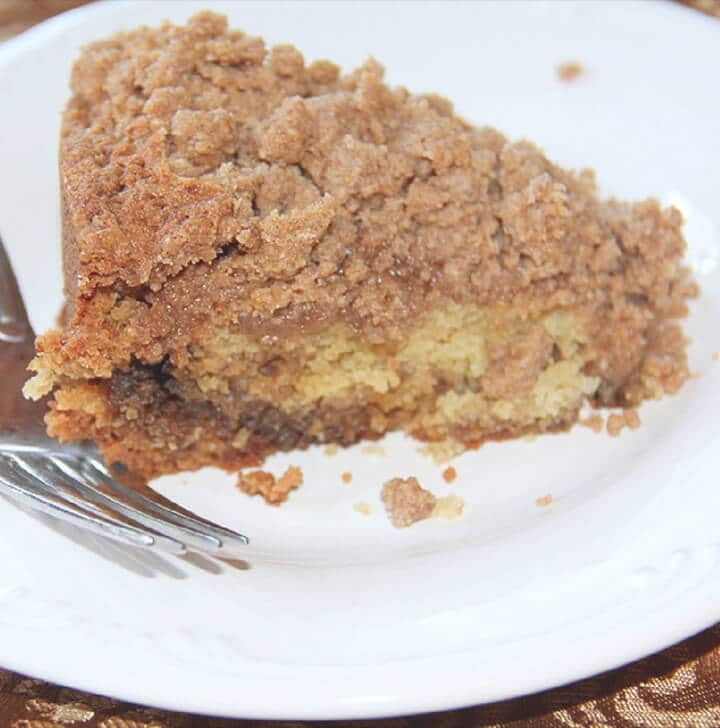 Or, for a lighter coffee cake, try this New York-style Crumb Cake from Mel’s Kitchen Cafe. I like to bake my cinnamon streusel coffee cake in either a bundt pan or a springform pan so it’s thick enough to have a nice division between the cake layers and the filling. Nordic Ware bundt pan – this one is my favorite because it’s non-stick but not dark. Perfect for any bundt cake! Nordic Ware 9-inch non-stick springform pan – another win for Nordic Ware! KitchenAid 7-quart Pro-Line Stand Mixer – I cannot tell you how much I love this mixer. It’s big enough to hold anything you need to make and is so much easier to deal with than a smaller mixer. Step 1. First, cream together butter, granulated sugar and brown sugar. Then add eggs and mix well. Step 2. In a separate bowl, whisk together flour, baking powder, salt, and baking soda. Whisk in cinnamon and freshly grated nutmeg. Step 3. Add the flour mixture to the butter mixture alternately with sour cream, then stir in vanilla. Mix well and pour half the batter into a greased springform pan. Step 4. 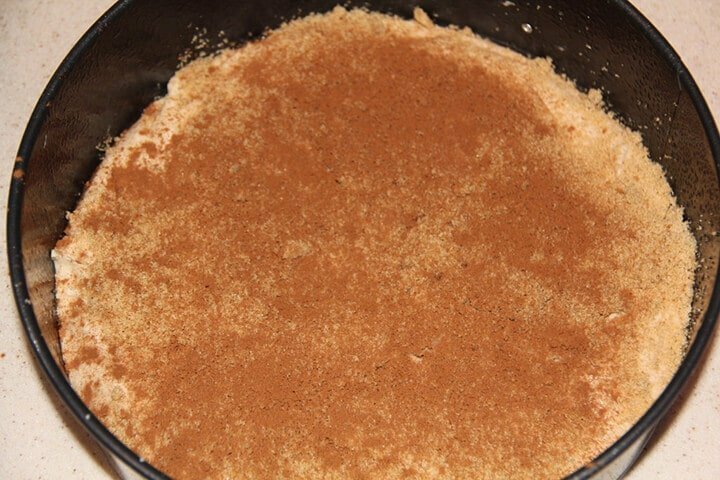 Stir together dark brown sugar and cinnamon and sprinkle over the batter. Step 5. Now comes the fun part. You have to spread the other half of the batter over the filling. 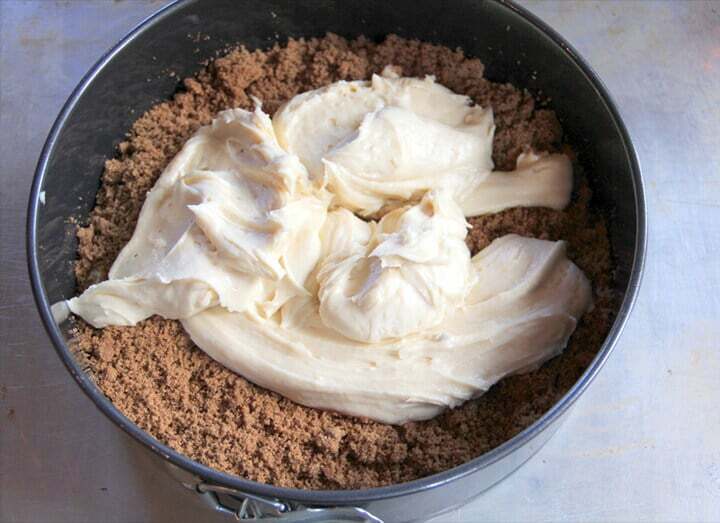 Pro Tip: Just ease the coffee cake batter out with a spatula, kind of patting around the edges so you don’t disturb the filling too much. It’s tedious but it can be done. And don’t worry if some of the filling gets mixed in. Step 6. For the streusel topping, stir together brown sugar, granulated sugar, flour, and cinnamon. Stir in melted butter just until the mixture is moistened and no flour is visible. Pro Tip: If you stir too much you’ll end up with one big unspreadable blob! Step 7. Sprinkle the streusel over the batter and then bake at 325° for about an hour or until a tester in the center comes out clean. Allow the cake to cool on a cooling rack for about 10 minutes, then release the sides and remove the springform pan. Allow the cake to cool completely before serving. You can absolutely freeze this Sour Cream Coffee Cake after baking. Just allow the cake to cool on a cooling rack for about 10 minutes, then release the sides and remove the springform pan. Allow the cake to cool completely for about two hours. Wrap the cake in 2-3 layers of aluminum foil, making sure it is completely covered. Then place in the freezer for up to 3 months. When ready to use, remove the coffee cake from the freezer and let it thaw on the counter overnight. This Sour Cream Coffee Cake is good for several days if it sticks around that long. It’s great for an afternoon snack or a breakfast treat. Enjoy! Butter a 9-inch springform pan or a bundt pan. In stand mixer or using hand mixer, cream 2 sticks of butter. Add 1 cup of granulated sugar and 1/2 cup of brown sugar. Mix well until creamy. Add 2 eggs and mix well. In a separate bowl, whisk together flour, baking powder, salt, baking soda, cinnamon, and nutmeg. Add the flour mixture to the butter mixture alternately with sour cream. Mix until all is well blended. Stir in vanilla. To make the filling, stir together 1/2 cup of dark brown sugar and 2 teaspoons cinnamon and sprinkle over the first half of batter. Gently spread remaining batter over the filling, patting it out to the edges. For the streusel topping, stir together the sugars, flour, and cinnamon. Don’t try to get all the lumps out of the brown sugar, just the biggest ones. Stir in 7 tablespoons of melted butter just until the mixture is moistened and no flour is visible. Don’t stir too much. Sprinkle the streusel over the batter. Bake at at 350° for 40-45 minutes, checking at about 30 minutes. If using a springform pan, bake at 325° for about an hour or until a tester in the center comes out clean. 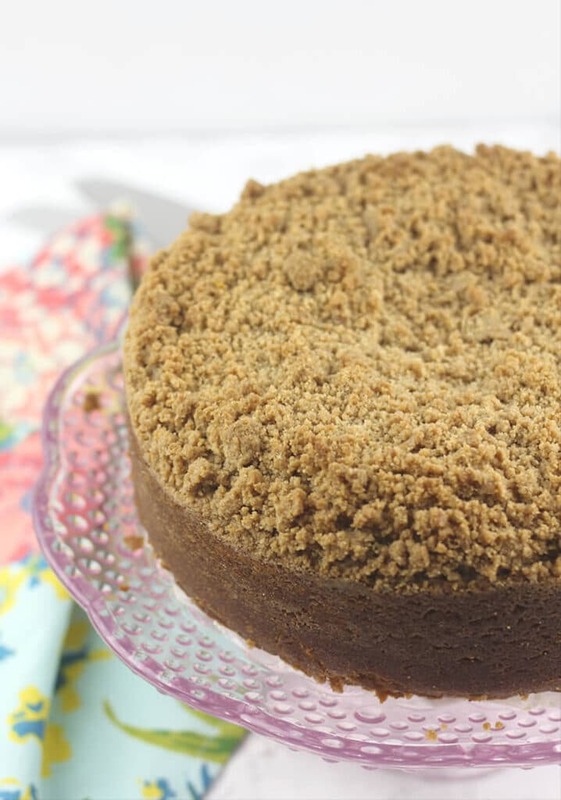 This sour cream coffee cake is great for an overnight dish. Just set it in the fridge and take it out about an hour before you want to start baking so it will come to room temperature. 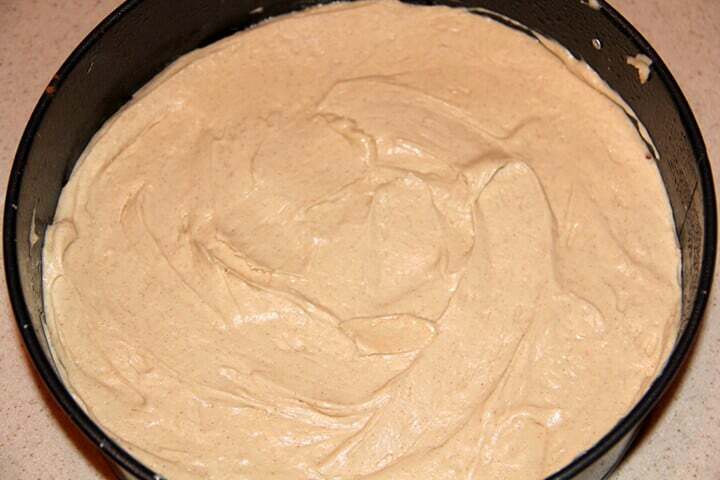 Use a spatula to help spread the batter over the filling. Try to pat it rather than actually spreading it. When making the streusel, don’t stir too much after you add the melted butter. Just mix lightly but incorporate the flour. To freeze the coffee cake, allow to cool for about 10 minutes on a rack and then release the sides of the pan. Cool for another 2 hours and then wrap tightly in 2 layers of aluminum foil. 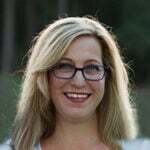 Update Notes: This post was originally published March 6, 2012, and on March 18, 2019, was updated with one or more of the following: step-by-step photos, video, updated recipe, new tips.